Summer is just around the corner, so now is the perfect time to take your travel trailer out of storage and prepare it for the warmer months. Travel trailers are a great, affordable way to spend the holidays with your family and friends, plus it’s a fun and adventurous alternative to expensive hotel suites or rugged tent camping. 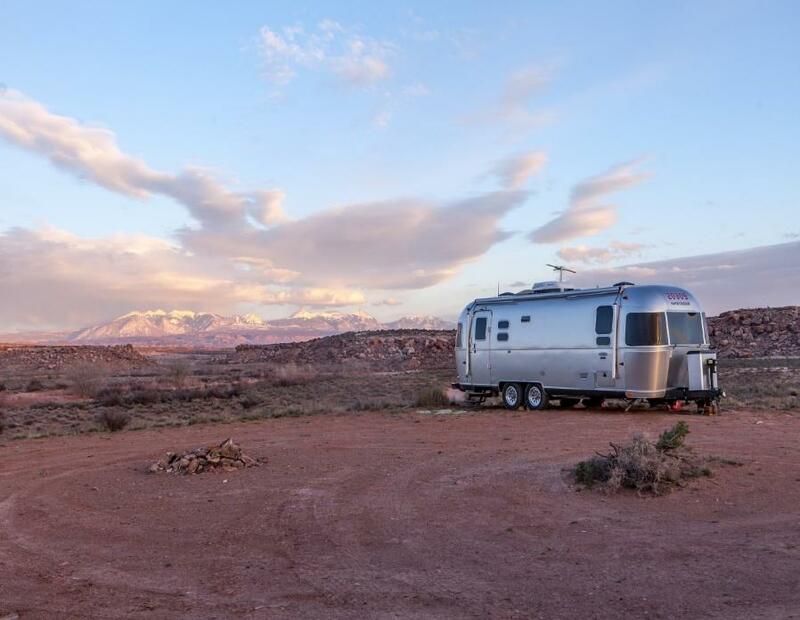 Just like your car, a travel trailer is a major investment, so it is important you properly care for it to ensure you get the most out of your home-away-from-home. Although travel trailers do not have a transmission or engine like a car, they still experience a lot of damage, especially to the axles and suspension. This is due to the vibrations caused by poor terrain, along with general wear and tear from traveling. So, just as you prepare your car for a vacation, it is equally important to keep your trailer well-maintained to avoid any costly repairs later or any issues while you are on the road. The key to maintaining your travel trailer is to create a regular maintenance schedule that can be followed throughout the year, and specific maintenance and repair tasks that can be made as needed. However, there are different types of travel trailers, so some trailers have specific care instructions. These are a larger type of travel trailer, specifically designed to accommodate more people, or provide more room. However, due to the larger space available, they are hitched to the center of the bed of a pick-up truck to improve stability while towing. As such, special attention needs to be paid to the towing and hitching equipment when checking for repairs. 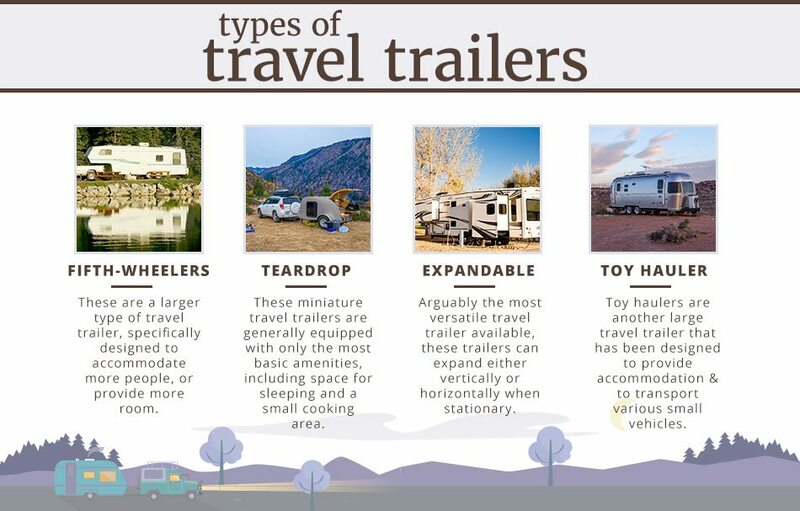 On the opposite end of the scale are teardrop trailers. These miniature travel trailers are generally equipped with only the most basic amenities, including space for sleeping and a small cooking area. These amenities are usually battery powered, which means that when making a maintenance inspection, it is important to ensure the battery is fully charged and functioning properly. Expandable trailers are, arguably, the most versatile travel trailer available. While being towed, they can sit low enough that a regular vehicle can tow them, but they can expand either vertically or horizontally when stationary. To ensure a pleasant travel experience, it is important to check expandable trailers for mildew, and to keep the expanding mechanisms well-maintained. Toy haulers are another large travel trailer that has been designed specifically to provide accommodation, as well as to transport various toys such as motorcycles, quad bikes, ATV’s and other small vehicles that may be needed during your trip. Travel trailers suffer a lot of damage from being towed around. However, it is often difficult to determine the extent of the damage until it is too late, and you are already in the middle of a trip. One effective way to determine what kind of maintenance and repairs your trailer needs, in addition to general maintenance, is to take a short trip before your planned vacation. Make a list of frequently used equipment during your trip, and ensure you have each part repaired or tuned before your big trip. This helps to make sure that nothing is overlooked, and you can focus on enjoying your trip. One of the first tasks you should do is clean the exterior of the trailer. Ideally, trailers should be cleaned after every trip, especially if you have been traveling close to the beach, as salt can corrode the metal on the trailer. Mild detergent with a soft brush or large sponge is usually sufficient for cleaning most travel trailer exteriors. High-pressure hoses are not recommended, as they can damage the finish and loosen exterior fittings. Make sure you rinse the undercarriage of the trailer, because this is where a lot of the dirt and grime can build up. Aluminum trailers attract and retain dirt more easily than fiberglass trailers, and so they require more frequent cleaning to keep them looking good. Fiberglass trailers will still need a good cleaning regime, as well as a thorough polish with wax to protect the finish. The wax can also help to weather-proof the trailer and keep dirt from sticking. A part of the trailer that is often overlooked is the roof. Travel trailers can come with roofs made from a variety of materials, including fiberglass and rubber. Each of these materials is subject to different levels of wear and tear. It is important to check your roof before every trip for cracks or tears. The last thing you need is a leaky roof ruining your vacation. The best time to check your roof is when you are cleaning. Most roofs need only the same level of cleaning and care as the rest of the trailer, but some newer models of trailers come with rubber roofs, which may require specialized cleaning products and equipment. Another feature of some travel trailers is awnings. Awnings are fantastic for creating a shaded outdoor living space while you are camping. However, due to their exposure to the elements, they need to be cleaned often. Make sure your awning is completely dry before storing, otherwise it may become moldy and mildewed. Leaves, sticks and grime also build up on awnings, which is why it is important to properly clean your awning before packing it away. The tires do most of the work on the trailer. Even when stationary, they must support the weight of the trailer, as well as its occupants and other equipment. As such, trailer tires are designed to be tougher than car tires, but are more prone to damage and require frequent maintenance and repair. The tire pressure affects how the trailer rides on the road. If there is too little pressure and you risk damaging the wheels and axels from the weight of the trailer, as well as overheating the tires, which could lead to a blowout. Too much pressure and the tread of the tires wear down faster, reducing your grip on the road, which is extremely important when towing heavy loads. Check your tire pressure by finding the correct pressure on the sidewall of the tire with using a hand-held pressure gauge. Otherwise, take your trailer to your local tire dealer and have them professionally checked. Also be sure to repair or replace the tires, if needed. There are three main holding tanks in most travel trailers: fresh water, gray water and black water. It is important that each of these tanks is inspected prior to a trip, as well as afterward, to ensure they are functioning properly. The fresh water tank holds the water for showering, cooking, washing and drinking. Most average-sized travel trailers have a fresh water tank with a holding capacity of 10 – 20 gallons. Fresh water tanks are an essential piece of onboard equipment, as the water quality at the campsite is not always guaranteed. However, to keep your water fresh, you need to make sure that when filling up from campsites you use a filter or a purifying tablet. You also need to empty and flush out the tank to prevent the water from becoming stale or allowing bacteria to grow. The gray water tank is the holding tank responsible for collecting dirty water from washing and showering. This tank should be emptied as often as needed, which is usually once per week for the average camper. Cleaning and sanitizing this tank is essential, especially before winter storage due to bacteria buildup. The black tank is the tank responsible for holding the waste from the toilet, which means it needs to be emptied as often as possible. It is important to remember the black tank is not a septic tank, and only has a limited capacity. You can prevent unwanted smells by using environmentally friendly toilet chemicals to help break down the waste before you dump your gray and black tanks at an on-site Sani-station. After each trip, it is important to sanitize your black tank, otherwise you may be in for an unpleasant surprise next time you want to go camping. One of the features of many travel trailers is air-conditioning and heating, which are important for keeping you comfortable when camping. However, when these elements become clogged with dirt and dust, they can malfunction or even compromise your health. Make sure you change the air filters at least once per year, and check them before every trip. 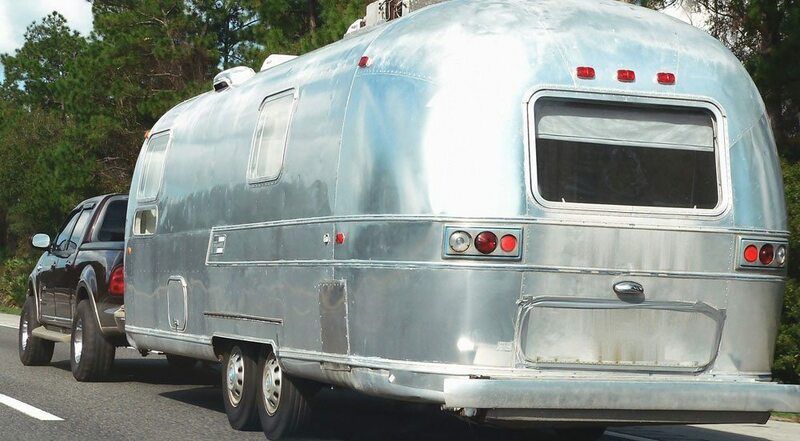 A part of owning a travel trailer is ensuring it is road legal. To abide by most state laws, your travel trailer will need a license plate number, turn signals and functional brake and tail lights. All the wiring for these lights are usually collected at a single point and connected to the towing vehicle. When inspecting the wiring, ensure there are no cracked or frayed wires, and all wires are properly connected. If you notice any damage, wrap the wires with electrical tape, then take the trailer to a repair shop as soon as possible to prevent further damage. Towing a travel trailer can be more complicated than it seems, and over time dirt and grime can work their way into the towing components making things even more difficult. To avoid balance and handling issues, it is essential all the hitching and towing parts are well-maintained. There are a lot of components to inspect, but the main ones you should look at are: the trailer hitches, bearings, seals and trailer couplers. These parts need to be properly cleaned and greased before use. Using your travel trailer doesn’t have to be limited to the summer months. 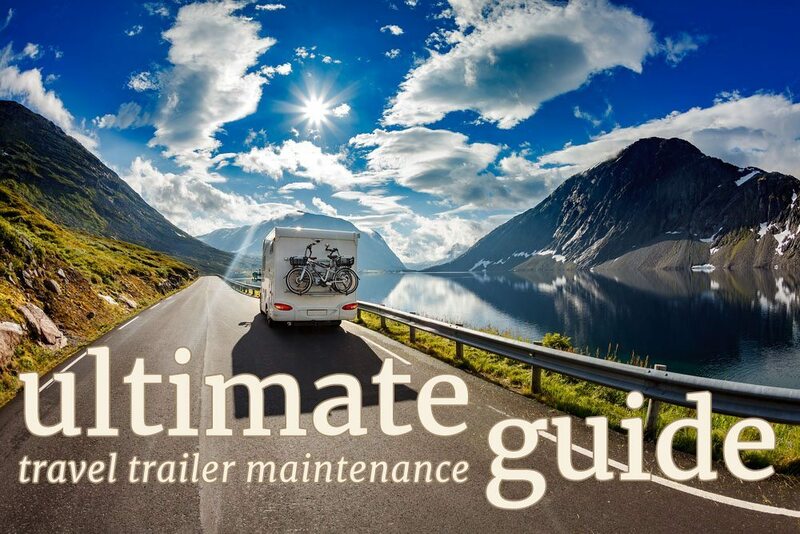 Whether you choose to take your trailer for a trip during the other months of the year, or store it away when it gets cold, there are a few seasonal maintenance tasks you will need to perform to ensure your trailer stays in peak condition year around. The best place to store your travel trailer during colder months is the garage. Before you can store it, it will need to be thoroughly cleaned and dried to prevent mildew and grime buildup. Vacuum and wash the interior, including all the upholstery. If there is a fridge or freezer, empty and defrost it. Leave all storage cupboards, beds and seating open, but covered in breathable cotton fabric, such as a bedsheet. Finally, make sure all doors and windows are well-sealed to avoid moisture from damaging the interior. If you live in an area where the temperature dips below freezing during the winter months, it is a good idea to protect your pipes to prevent them from freezing and bursting. Drain all the water tanks in the trailer, and run the taps and flush the toilet to ensure all water is removed from the trailer. Use antifreeze on all the drains and the toilet to winter-proof them. You may even consider wrapping exterior pipes with rags, or insulating material, depending on where you are storing your trailer and how low the temperatures drop. You should inspect your battery before every trip, however to keep your battery lasting longer, consider keeping it plugged into a power source. Otherwise, it is a good idea to run the battery every six to eight weeks to stop the battery from discharging. You could also disconnect the battery and store it in a dry location to avoid corrosion. 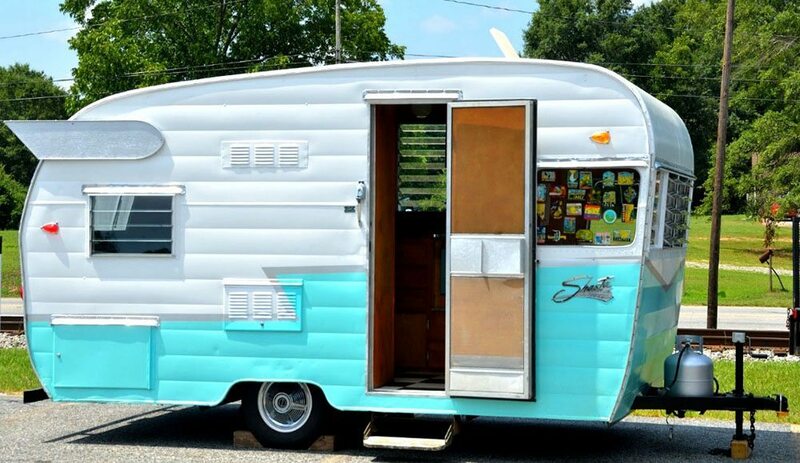 Travel trailers are a great way to see the country and spend time with family and friends when the weather gets warm. Make the most of your investment by keeping your travel trailer well-maintained, and take the proper precautions when putting your trailer in storage. This will ensure you enjoy your travel trailer for many years to come.